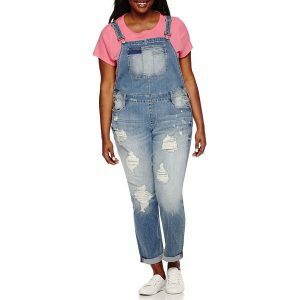 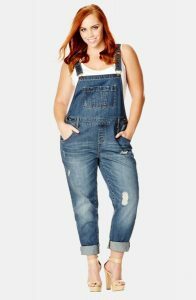 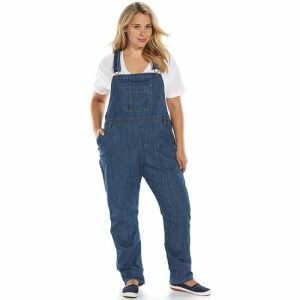 Overalls are casual clothing options and it is very easy to look chic in them. 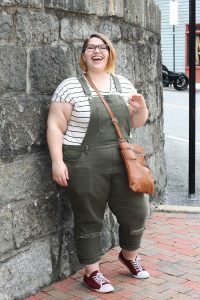 Here are some ideas on black, moss green, and black overalls, all for plus size women. 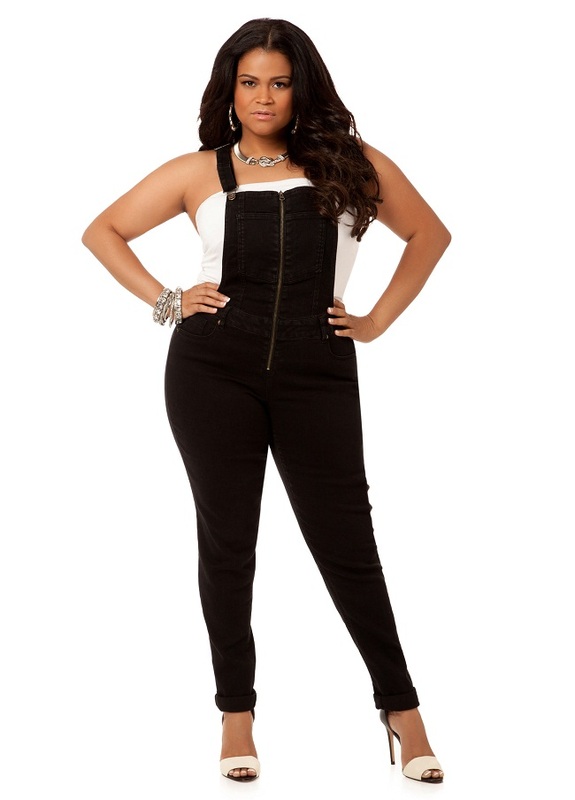 Instead of the jumpsuit style, you can check the dressy overall as well. 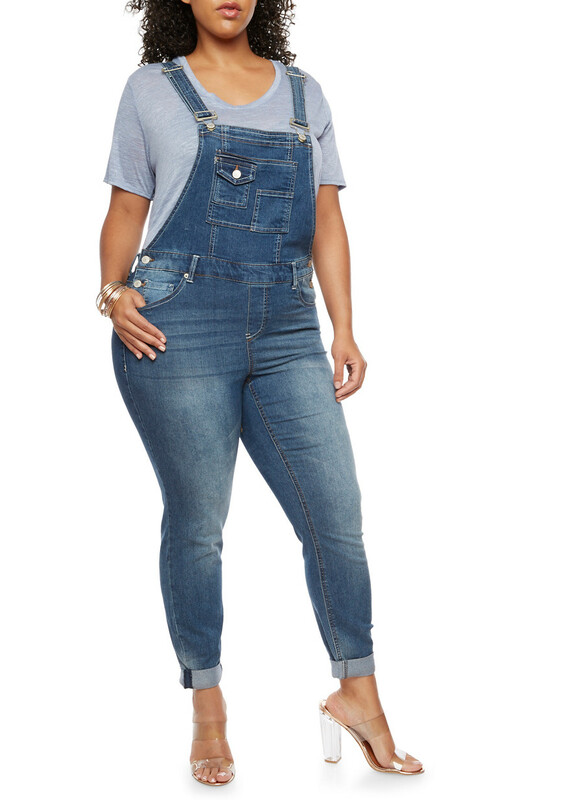 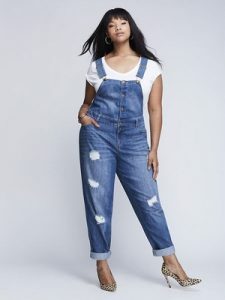 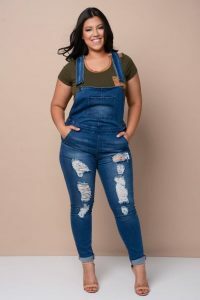 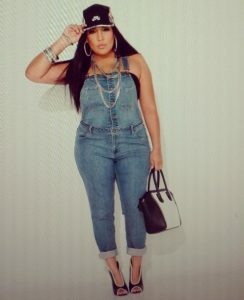 A dark blue denim overall looks elegant on plus size women. Team up with a white top for a day out and a black top for a night time look. 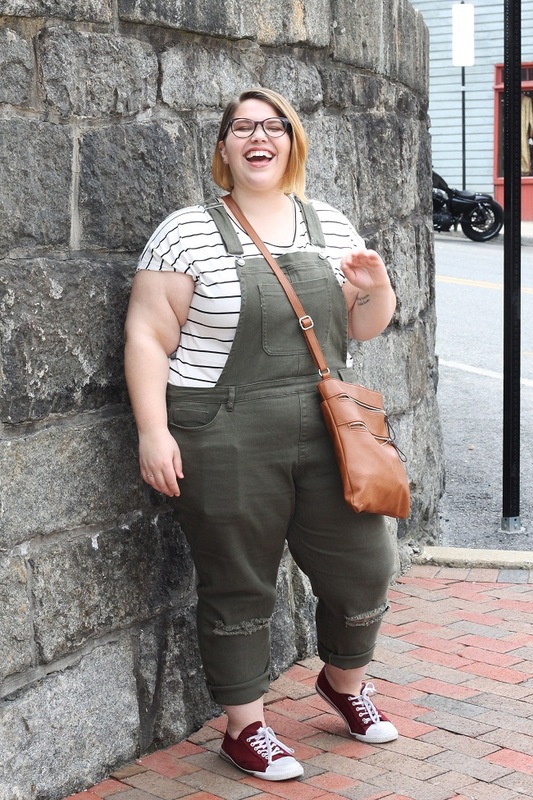 This is a short overall that has an edgy vibe. 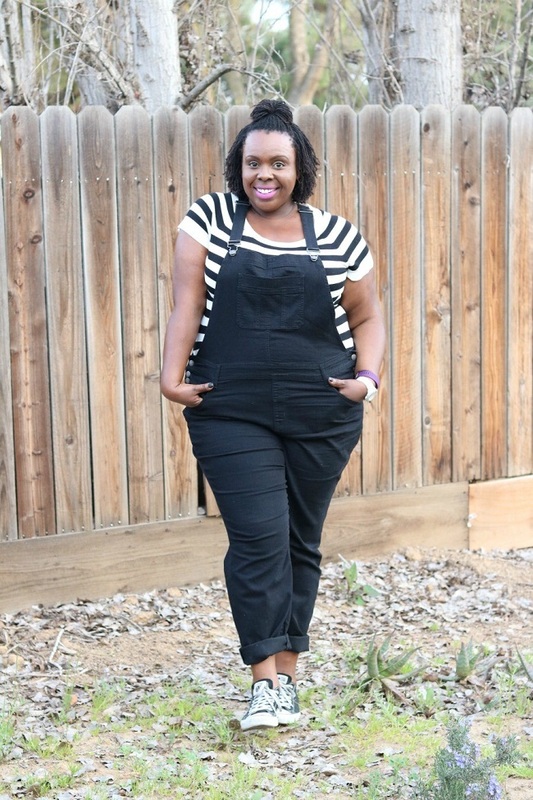 Perfect for wearing with black top and booties. The square neckline complements the chubby shoulder and neck of yours. 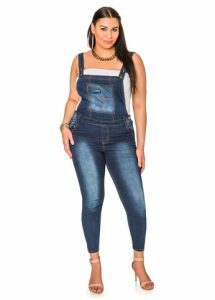 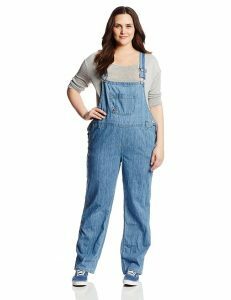 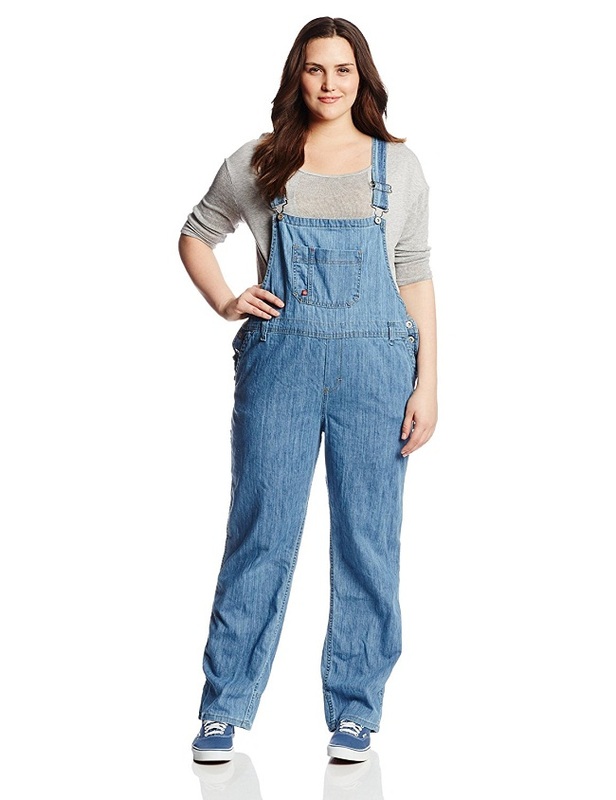 Also, the entire shape of the overall gives a definition to your otherwise plus size figure. 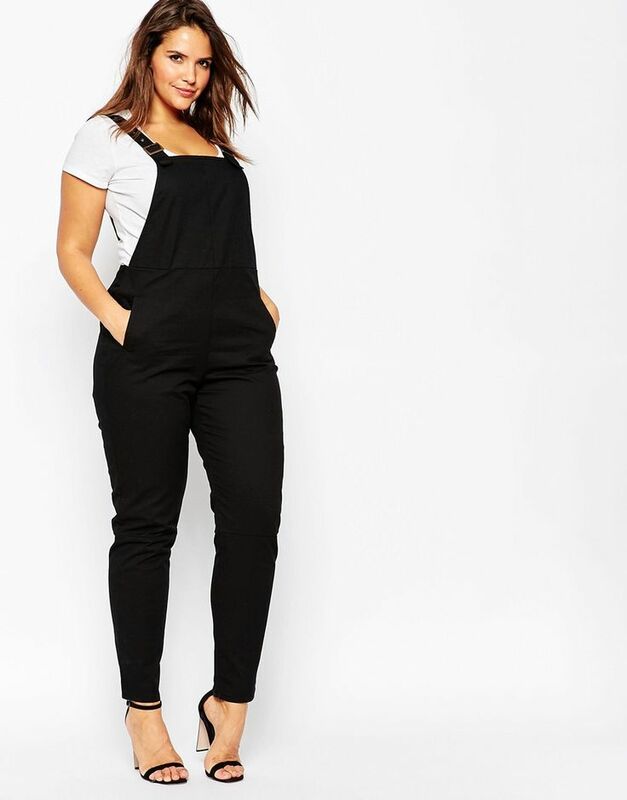 Instead of blue, go for black that has an interesting look. 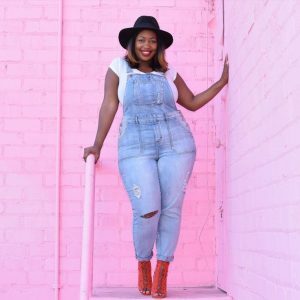 It is intense and effective. The dress is a graceful option for plus size women as the flare part of the dress conceals their fatty waistline. 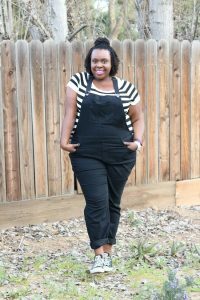 Match it up with printed tops.